Here are some links with useful info, photos, maps, etc. of Bahrain. 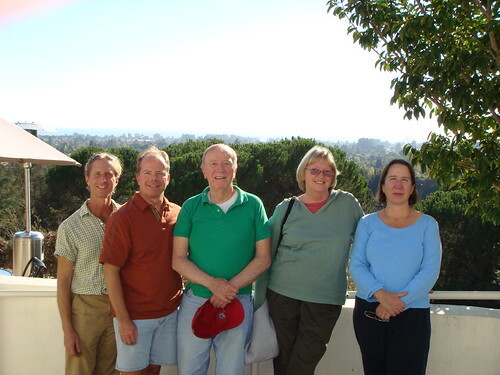 Last weekend, I was in Santa Cruz with my brother Phil and his wife Vicky to visit my uncle Charles and aunt Phyllis (on my mom’s side). Charles and Phyllis are gracious and enthusiastic hosts and we had a great time. It was the first time I’d been there in like 20 years, but Phil and Vicky have gone several times with my Mom. My sister Meridith and her husband Paul were supposed to come but an emergency kept them away. Charles and Phyllis live in an idyllic neighborhood just south of Santa Cruz called Rio del Mar. All 3 of us visitors were green with envy – the Santa Cruz area is just a fantastic place to live. The area is hilly, lush with huge pines and redwoods, and minutes from the Pacific Ocean. The place has lots of character and culture. And you can’t beat the climate – crushes our dismal New England weather. Map of Santa Cruz area – Rio del Mar is just south of Santa Cruz and Santa Cruz is about an hour south of San Jose. Here are some shots of us.